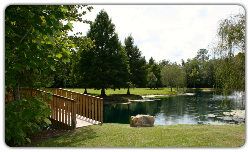 Lanier County has long been known as a “Fisherman’s Paradise.” Whether your choice is 12,000 acre Banks Lake or any part of the 60-miles of the Alapaha River that travels through the county on its way to the Suwannee River you will not be disappointed. 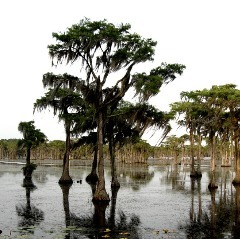 ​Banks Lake consists of a shallow blackwater lake studded with moss-draped cypress trees, rimmed by marshes and uplands. The 4049 acre site protects a unique environment and diverse wildlife. Fishing, boat and kayak rentals available. Grand Bay is a partnership between the Wildlife Resources Division and the Coastal Plains RESA. This facility offers a 1/2-mile boardwalk, a 54-foot tower, and an education center. A certified teacher is on hand for a full day of instruction. Make reservations as early in the school year as possible, even as early as the first day of pre-planning. Local schools have priority over other groups. For more information, please visit the Grand Bay page of the Coastal Plains RESA website. Roquemore Memorial Park - Valdosta Rd across from Lanier County Primary School. The park had its beginning as a public park established in 1994. A 9-11 Prayer Garden was added in memory of those who died on that day. The gazebo, the park's focal point, is a popular venue for weddings, photography, band performances, and religious services. Each year a memorial service is held in the park when trees, benches, or tables are dedicated to loved ones. Those interested in providing such a memorial, or scheduling an event, may contact Nell Roquemore at 482-3478. Flatlanders Recreation Park - Entrance at Valdosta Rd. Open to youth recrecration sports. 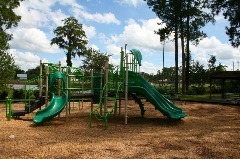 Flatlanders Playground - Valdosta Rd across from Lanier County Elementary School. Open for play until 8 p.m. each night. The walking trail entrance is at the Lake Irma dam one block from downtown on N Temple Street. A concrete boat ramp is located on east of Lakeland on GA 37 gives boaters access to the river. The entrance is on the south side of the highway. Located on GA 135 just north of downtown Lakeland. 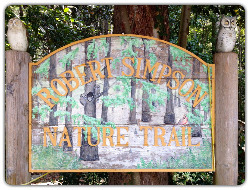 The property backs up to the Nature Trail on Temple St. 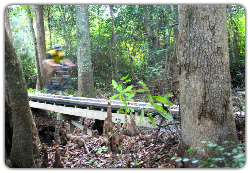 The trail is open daily from dawn to dusk. For more information call the Chamber at 482-9755.